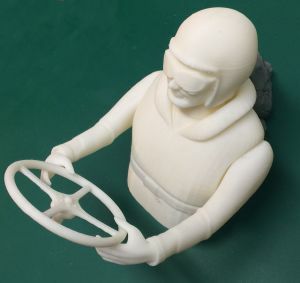 1/8th Scale driver by Classic Hydros. Finish off your open cockpit boat with one of these detailed drivers. Separate arms, head and torso give flexibility when setting up and painting. 1/8th scale in size & 3d printed in ABS plastic. Extremely strong and lightweight (2.2 oz). 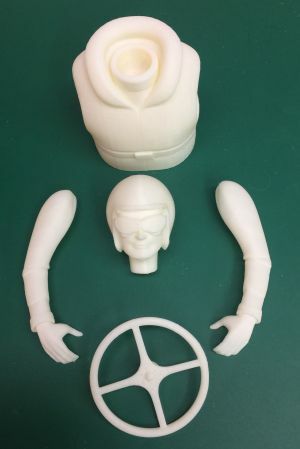 This figure is printed in high quality with minimal print lines. ABS plastic is very strong, lightweight, easily finished and accepts many paints. Head, arms and wheel are separate to make painting easier. 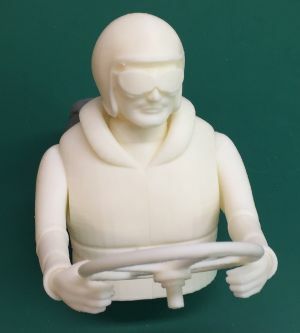 Developed by Classic Hydros and printed this figure locally in the U.S.A.